At F.I.R.S.T. Health in Torrance, we provide uncompromising quality care and chiropractic services in a comfortable, healing atmosphere. If you’re suffering from injuries or conditions that affect your musculoskeletal or nervous system, our certified physicians and rehabilitation experts can help. Our main goal is to restore and maintain our patients’ optimal health and quality of life. The F.I.R.S.T. Health Clinical Team uses modern treatment techniques and new, emerging methods that demonstrate promise to help in our patients’ recovery. We integrate chiropractic treatment into traditional Western healthcare to solidify relations between local medical health care providers, Chiropractic physicians, and complementary care practitioners. Our state-of-the-art chiropractic and rehabilitation practice grows through the referrals of our satisfied patients, medical experts and complementary care colleagues. F.I.R.S.T. Health is dedicated to updating healthcare colleagues about the indications for chiropractic rehabilitation care and how to optimally collaborate for the benefit of those we serve. To facilitate clear communication with F.I.R.S.T. Health patients, Dr. Craig E. Morris, DC, DACRB, is fluent in both English and Spanish. Contact our healthcare facility to schedule an appointment with our chiropractic team today! With more than 35 years of experience in the chiropractic and rehabilitation industry, our doctors have helped hundreds of children and adults across California with complex musculoskeletal conditions. For new F.I.R.S.T Health chiropractic patients, please plan for your first appointment to be approximately 60 minutes. Contact our healthcare providers to schedule a visit today! 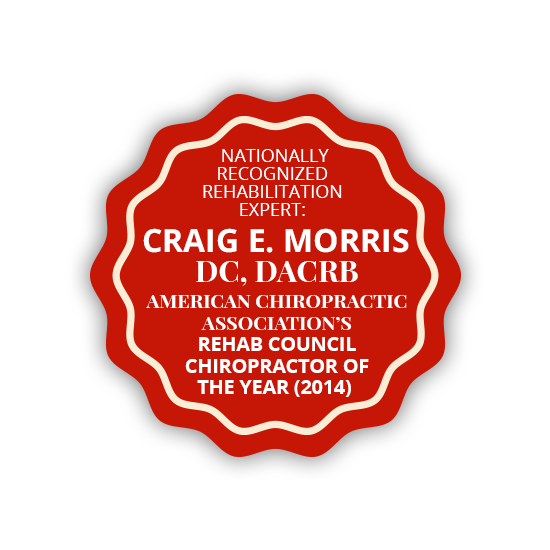 Get back on the road to recovery with the help of our certified rehabilitation professionals. From the most complex musculoskeletal conditions to the smallest sports injuries, we can help. We specialize in the evaluation and treatment of injuries and conditions affecting the musculoskeletal and nervous systems. Our team approach to patient care commonly results in quick and sustained improvements. Our team approach to patient care commonly results in quick and sustained improvements. Who can expect relief from our care?